Paul Feig is back and better than ever, showing his darker side with the seductive, yet twisted, adaptation of Darcey Bell's novel, A Simple Favour. I've been pretty excited about this one since I saw the trailer on Blake Lively's instagram a few months ago. Anna Kendrick stars as Stephanie alongside Blake Lively, playing the role of Emily. The two of them have sons in the same class at school and they strike up an unlikely friendship through their sons' play date. Emily tricks Stephanie into being her nanny for free whilst she runs aways to Miami. The film proceeds to follow the mystery of What Happened to Emily? A Simple Favour got a brilliant reaction from the audience. The room was packed with people laughing and gasping at every appropriate moment. 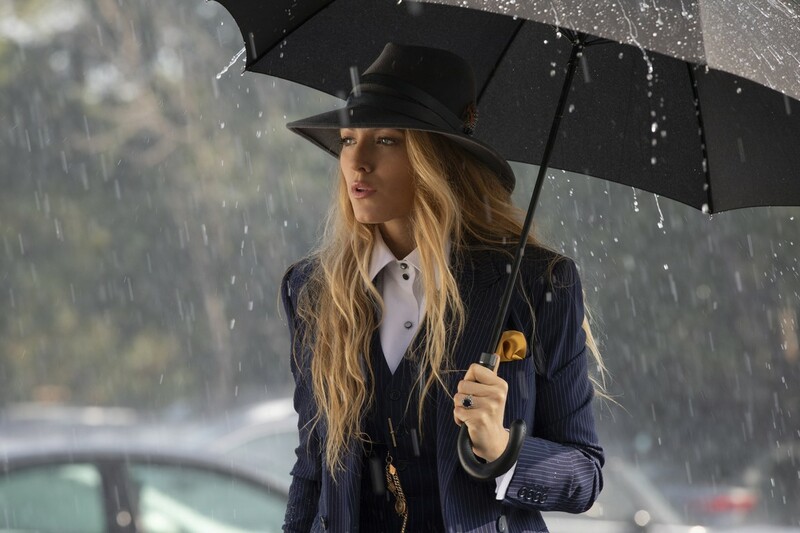 I was in awe of Blake Lively's performance, by far one of her best to date, she was bouncing Jessica Sharzer's lines out like they were thoughts of her own, convincing the audience of her quick and cunning nature. I've not seen her in a part similar, truly such a well crafted and intricate role. As a side note, her outfits were honestly to die for, I want the white pinstripe suit with the cane in my wardrobe right now. The film did have some minor moments that snapped me out of the world, for example, there was a moment where the two children had a physical fight but it didn't at all seem realistic, as well as (without spoiling too much) a nonchalant reaction from one character to being shot in the end. I wasn't wildly satisfied with the ending, either, but it reminded me of Double Indemnity and other film noir movies where if someone is caught doing a crime, they have to pay for it. The narrative sustained the tension well and definitely kept everybody on their toes (I know this from the audible gasps). It was fun to piece information together with Stephanie whilst she navigated Emily's dark history, along the way introducing me to my new favourite insult "you look like a bargain basement Tom Ford", I seriously must've laughed at that for a solid minute. From seeing the trailer I somewhat expected the film to be more serious throughout and yet the comedy was threaded in so perfectly, it works so well when people play the drama instead of the joke. Paul Feig is quickly climbing my list of favourite directors. I think he's a really great guy who's out here making some fantastic movies showcasing funny females who have a lot of depth to their characters and are women that you are likely to meet out and about in the world. The characteristics of Emily were ones I would love to see on screen more frequently. It was like Elle Woods gone wild, super into fashion and beauty but with I-could-kill-you-any-second eyes, it was fantastic. I loved how opposite the two leads were and yet they were both incredibly devious in their own ways as well as being intelligent and quick-witted. A Simple Favour is the easy movie choice this weekend! Cannot recommend enough. Get out there and see it. Now. A Simple Favour is out in UK Cinemas 20th September 2018.